India is blessed with many of incredible tourist attractions. Each of such attractions is located in different parts or states of the country. Usually, people like to visit these famous attractions in day light but some don’t know that these attractions look even more beautiful at night. If you are planning a visit to India and wondering which destinations are best to visit during the night, then read on to this write-up and explore the places. Read more about Some Interesting Places to Visit in India. Also known as “Swarn Mandir”, this two storied structure is covered with roughly 400 kg of gold. The temple is surrounded by a large lake, which is known as Sarovar. This Sarovar is known to be filled of Amrit, literally meaning ‘immortal nectar’ or ‘holy water’. This temple is the epicenter of Sikhism and visited by millions of Sikhs and other religion people every day. The water of this holy Sarovar is believed to have medicinal properties and curative powers and thus, the devotees bath in the tank to cleanse their soul. The entire atmosphere of this temple offers internal peace. 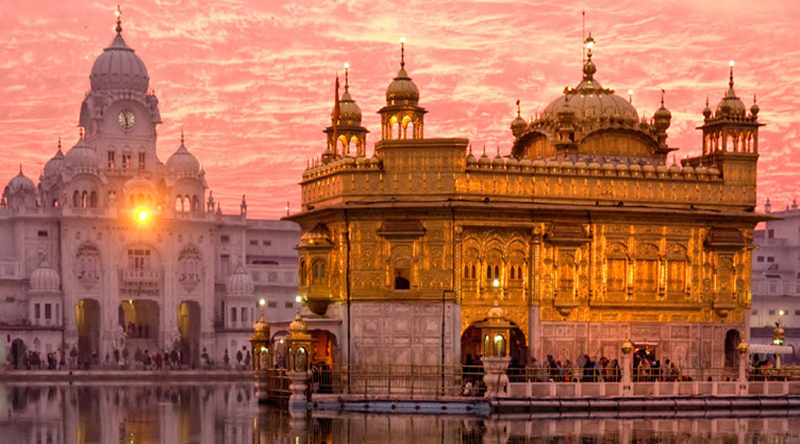 Not any word can describe it, especially the night view of the decorated Golden Temple that appears simply majestic. The next on the list is the Taj Mahal, One of the Seven Wonders of the World! 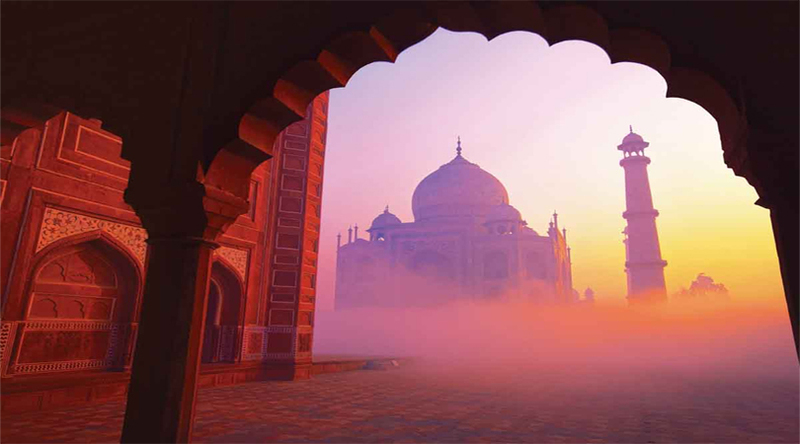 You can simply visit the Taj on a full moon night with the experience is bound to be ethereal. This beautiful Mughal architecture is one of its kind and much prettier to see the engineers of ancient times. One thing, you must carry along while visiting the Taj Mahal is a good camera that can capture the beauty of the Taj. In day time, you will have to take a ticket of Rs. 20 to visit, while on Full Moon night, you need to take a ticket of Rs. 510. The beauty of the Taj Mahal is truly enhanced during the Full Moon night and is just amazing to click photos of the beautiful sight. Vidyasagar Setu, also known as the Second Hooghly Bridge is constructed over River Hooghly. This bridge connects the twin cities of Kolkata and Howrah. 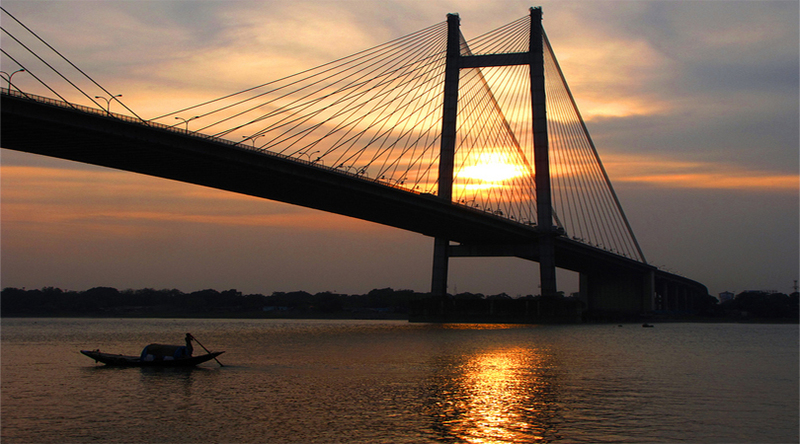 With a length of 822.96 meters, the Vidyasagar Setu is the longest cable-stayed bridge in the country. Moreover, the bridge is also one of the longest bridges across Asia. This bridge was built under the joint initiative of Public Sector Undertakings and the private firms, working under the supervision of the Hooghly River Bridge Commissioners. The bridge gets is named after “Pandit Ishwar Chandra Vidyasagar”, the great educationist reformer of Bengal in the 19th century. 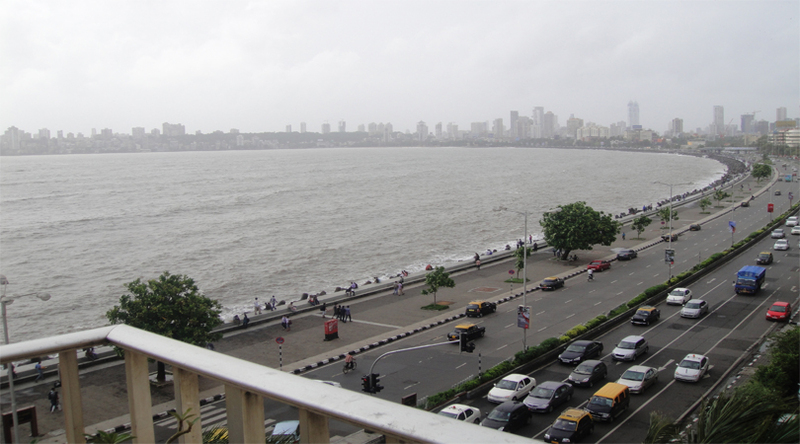 Marine Drive is a expertly laid-out boulevard that stretches along the coastline of the Arabian Sea in South Mumbai. Built in an inverted C shape, it is 3 KM long concrete road that connects the Nariman Point to Malabar Hills. Officially, it is known as “Netaji Subhash Chandra Bose Road”. It is also coined as ‘Queen’s Necklace’ as it appears to be a string of pearls, during the night when viewed from a height. During your visit to Mumbai, don’t forget to list this place in your travel itinerary, especially at night. There are many famous hotels located at the end of this road and you can see people spend an evening here. Apart from these places the Lotus Temple (in Delhi), Mysore Palace (in Mysore) and The Great Rann of Kutch (on Moonlight) are some of the other famous tourist places that look fabulous in the night.